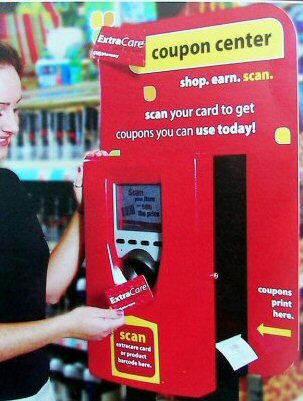 This week when you scan your CVS card at their card scanner a $5 off any Halloween decor, accessories or costumes coupon will print out. 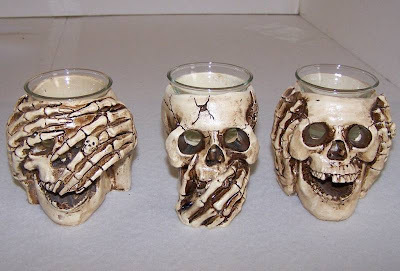 I nabbed two of the above skull candle holders (the speak and hear) but can't find the "See" locally. They are $2.99 each or 2/$5 (perfect for that coupon) so I'm willing to pay full price to complete my trifecta but so far its eluded me.